Beginning March 1st, Fannie Mae and Freddie Mac will begin the process of allowing some home owners to cancel their underwater mortgage debt using a deed in lieu foreclosure alternative. If you are wondering how and if this applies to your home, read on. If you have needed to move for job relocation, status changes, or reasons relating to illness or because of needs relating to military service, but couldn’t because of the inability to sell your home, you can benefit from this change. Deed-in-lieu transactions are being offered to struggling home owners who are current on their mortgage or less than 90 days late on their payments, although there are rules and consequences. To qualify to turn over your home without penalty, you must have house payments that equate to equal or more than 55 percent of your monthly income and be able to show documented “hardship.” Your home must also be in good shape, meaning not damaged and relatively clean. The benefits of this option are that the decision making process can progress more quickly and simply, and that properties will remain in good condition helping neighborhoods improve, and in some cases, borrowers may even receive financial relocation assistance. While this solution does not fit everyone’s needs (since it could require use of retirement funds to pay part of the loan balance) and is only valid for use on primary morgages, it definitely will be of help to some. Up to $6,000 can be used by mortgage lenders to negotiate loan release for borrowers. Find out more by clicking here. In the last six years the housing market and mortgage lending professions have seen a lot of change. 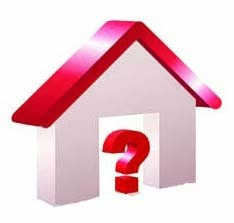 Click here to view Best Intentions: The Highs and Lows of the Home Affordable Modification Program, a report which outlines these historical events in the real estate market produced by the Consumer Federation of America.